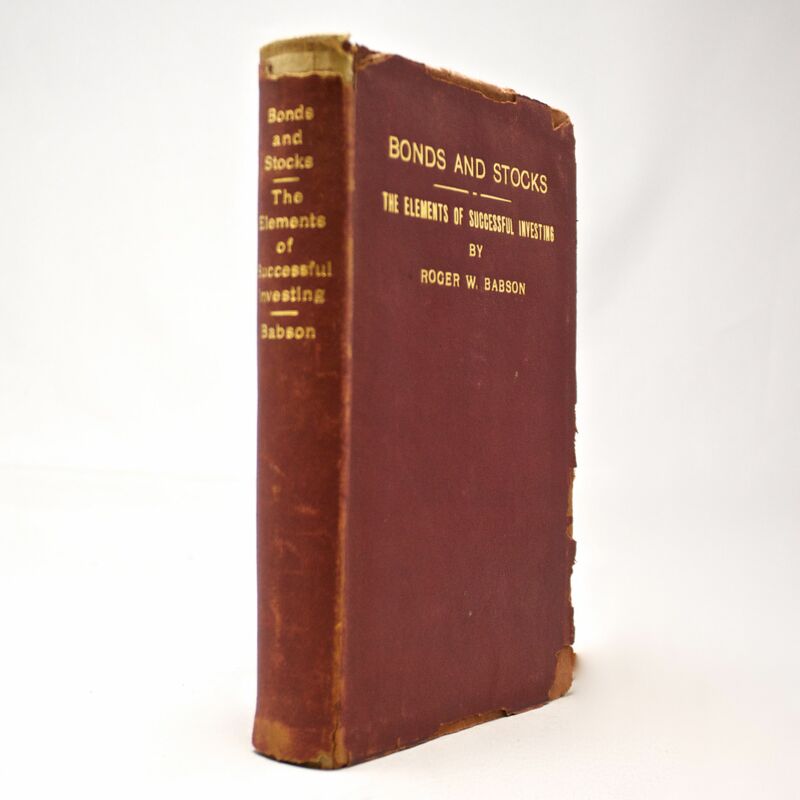 Bonds and Stocks: The Elements of Successful Investing - IFA Vintage and Current Book Library - Index Fund Advisors, Inc.
Notes: Thick red leather bound book with chipped edges. 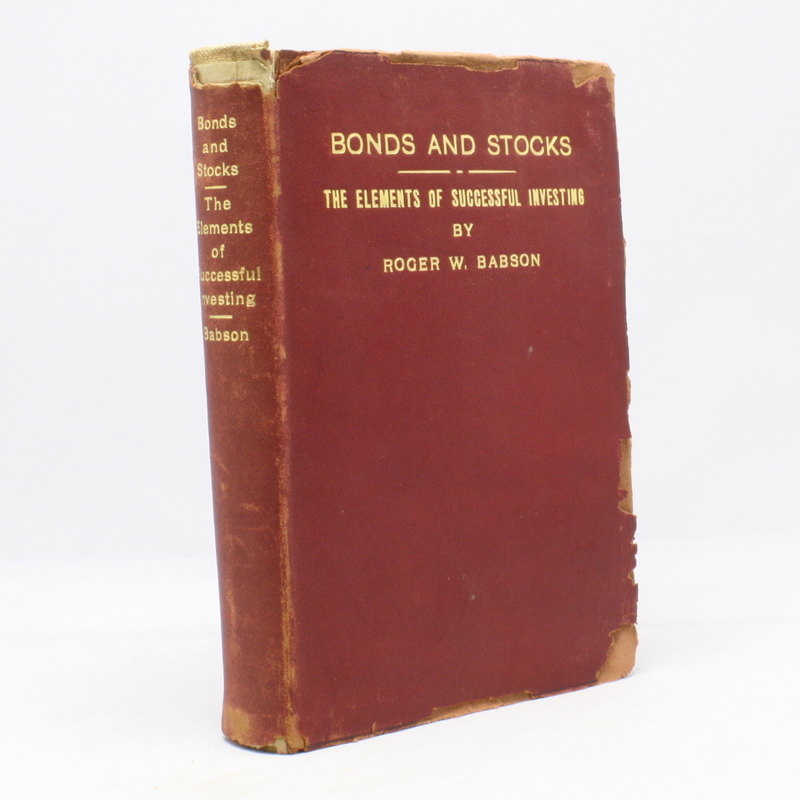 Contains the famous long multi-color Babson chart. One of Babsons early collectible books.